You would expect an NBA point guard to handle just about anybody in a shooting contest, but that wasn’t the case when Lonzo Ball faced Bow Wow in HORSE. The Los Angeles Lakers rookie and the rapper had a little friendly competition this week and somehow the guy who isn’t in the NBA came out on top. The “Bounce With Me” rapper shared a video to his Instagram account on Tuesday featuring the showdown between the two. “Bow Wow Vs Lonzo Ball,” he captioned the post in which he clearly beats the Lakers star player. He also noted that Lonzo won the first game of the two, but Bow Wow still felt the need to throw in a disclaimer at the end, claiming he was at a disadvantage. “MIND YOU IM IN SOCKS,” he noted. 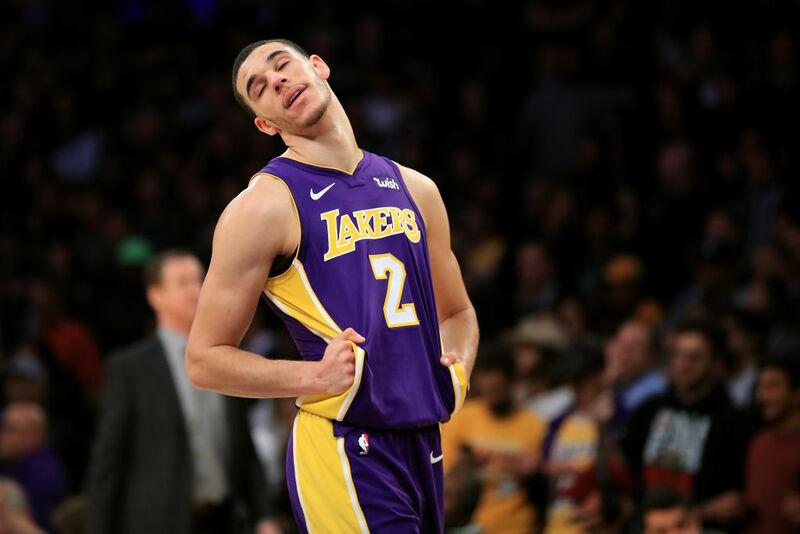 Even though Bow Wow admitted to losing one of the two games, it’s downright embarrassing for Big Baller Brand poster boy Lonzo Ball to lose in a shooting match to a rapper. Even if Bow Wow was wearing Michael Jordan’s magic sneakers from “Like Mike,” the young Lakers guard still should have smoked him. Can’t wait to see how Lonzo’s loudmouth of a father spins this one in his family’s favor. This one has got to hurt.